The heroes of the highways will be on the road during the first weekend of October. 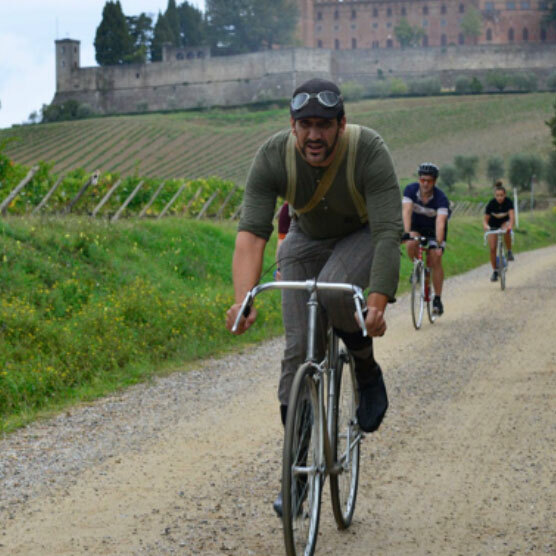 The “Eroica” is an historic cycle race: the participants set off on old bicycles that are wonderful to watch. The lap times are not important, but the stopovers – with traditional Tuscan refreshments of course – are great. It starts in the marketplace of the little Chianti village of Gaiole.